Edible landscaping is a trend that’s growing by leaps and bounds. Choosing plants that not only provide good landscape value, but also food, is becoming more important in urban spaces. Fruiting pomegranates, such as ‘Wonderful’ are not only beautiful landscape bloomers, but also producers of loads of delectable fruit. 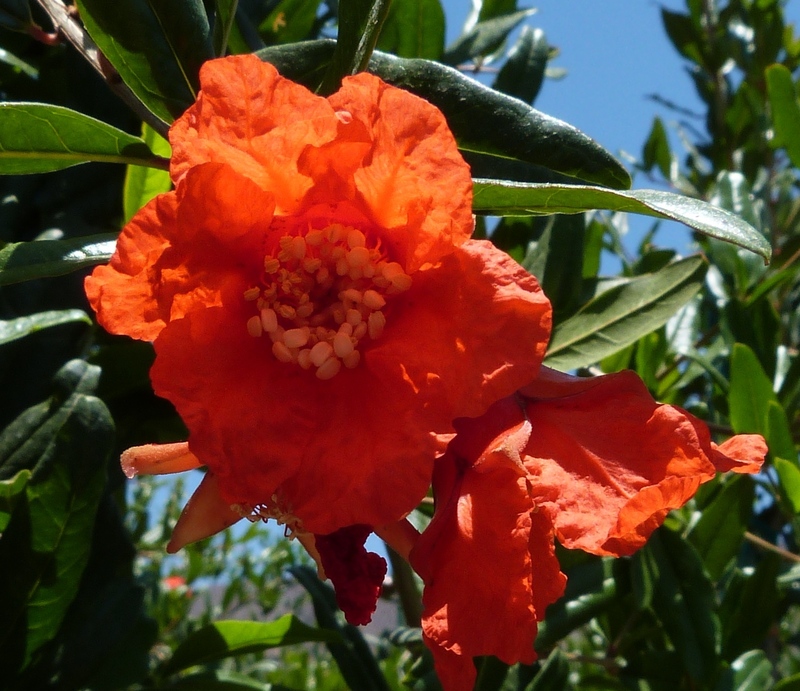 These tough shrubs produce masses of bright orange-red blooms in summer, followed by large shiny pomegranates in fall. ‘Wonderful’ is useful in the landscape as a shrub, small specimen tree or even as an espalier. Plant in a full sun location for best growth, flowering and fruit. While new plantings will require regular watering, established plants are drought tolerant. Regular supplemental watering will help fruit development and reduce the plant’s thorns. Plants fruit best in hot climates, requiring only 200 chilling hours below 40F to produce fruit.